Museum of the City of New York - Sports, Cricket, Livingston Cricket Club, Staten Island. Sports, Cricket, Livingston Cricket Club, Staten Island. 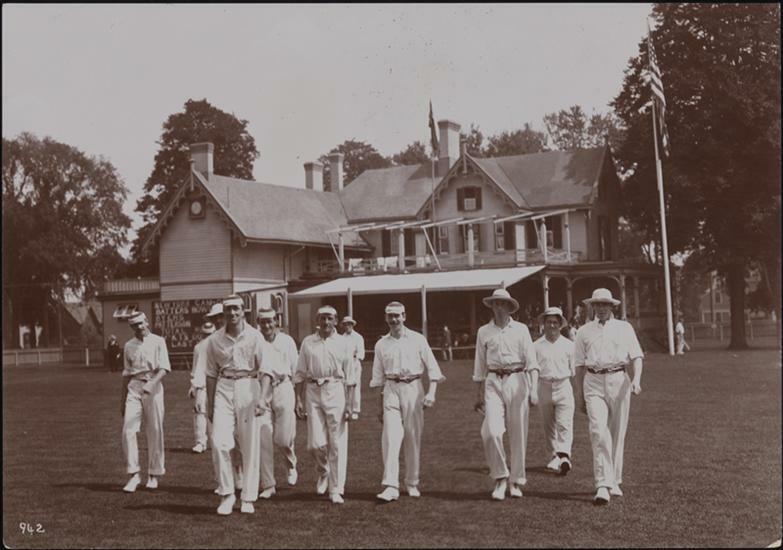 A cricket team walking on to the pitch of the Livingston Cricket Club, Staten Island, N.Y.